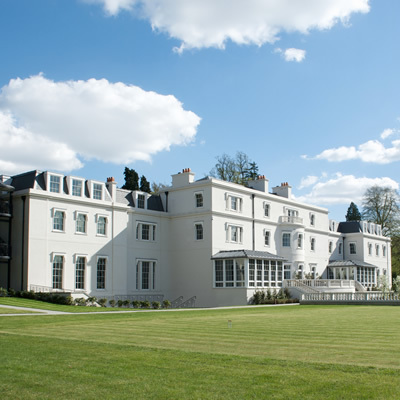 Coworth Park is a charming English countryside hotel located in Ascot. It is a part of the Dorchester Collection and it doesn’t disappoint; delivering the unquestionable five star experience that one would expect from this group of hotels. This experience begins as you drive along the impressively long driveway, which eventually leads to the hotel entrance. Upon arrival we were greeted by a small army of smartly dressed doormen, before our car was whisked away and our luggage disappeared up to our suite. We too were then escorted inside to the reception desk, where we were promptly checked in and introduced to the hotel. Following check-in, we were accompanied to our suite on the first floor of the Mansion House. 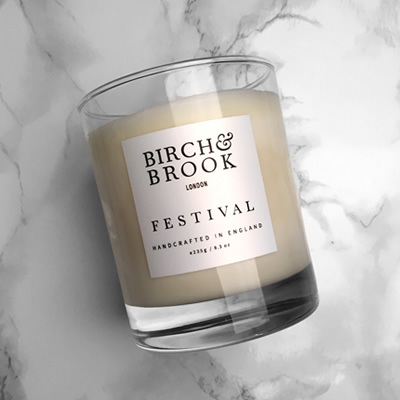 As we arrived at the double door entrance of the Arbuthnot Suite, we stood quietly confident and intrigued as to what was behind the doors. We entered into this stunning suite and were truly excited to explore. We were given a short tour along with a rundown of the amenities. It became quite obvious that we are about to experience somewhere very special. The suite itself comprised of a large lounge area, complete with the most beautiful seating, dining table and chairs, a fire place, a drinks unit which is home to the minibar, coffee machine and kettle. The lighting in the room is just stunning - no expense has been spared, and the fixtures and fittings throughout are beautiful and immaculate. The bedroom is home to a wonderful four poster bed, which plays homage to its English countryside surroundings. Again there is no shortage of space in this bedroom; even if ballroom dancing is on the agenda, you certainly have the space to indulge here. 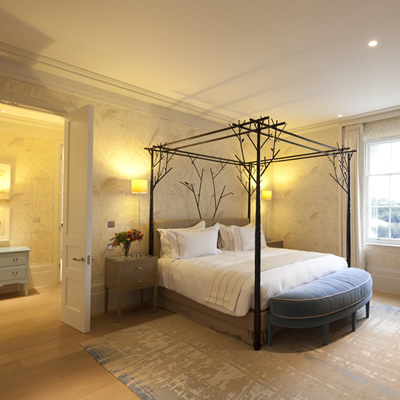 Both our bedroom and lounge offered stunning views across the grounds of Coworth Park. The suite also includes its own walk-in wardrobe complete with a safe, a further dressing room for the ladies and finally the bathroom which continues the beautiful interior design found throughout our suite. 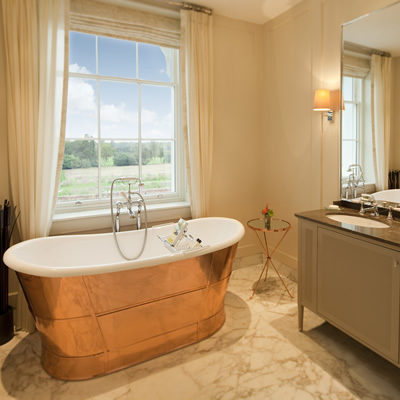 Taking centre stage in the bathroom is the free-standing bathtub with polished silver trimmings. You will also find his and hers wash basins, a separate walk-in shower and a separate toilet. Coworth Park offers three restaurants & bar areas in the main Mansion House - Restaurant Cowarth Park, which serves up an array of modern British dishes; the Drawing Room where you’ll enjoy a fantastic afternoon tea; and The Bar at Coworth Park where you simply must work your way through the cocktail list. For a more informal dining affair, The Barn at Coworth Park is just a short walk away from the Mansion House, near to the stables and cottages. You can, of course, also indulge in light meals or afternoon tea in the spa, which is a real highlight of Coworth Park. As well as The Spatisserie, the upper floor of the spa boasts eight treatment rooms, including a couple of double treatment rooms, should you wish to indulge with a significant other. You’ll also find a manicure and pedicure station as well as a relaxation room. 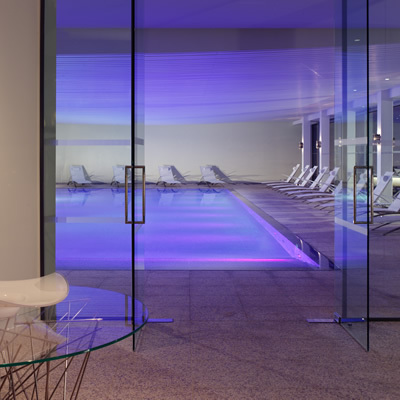 The lower floor holds an impressive heated indoor swimming pool with has underwater music. This is an incredible experience and a real highlight for us. 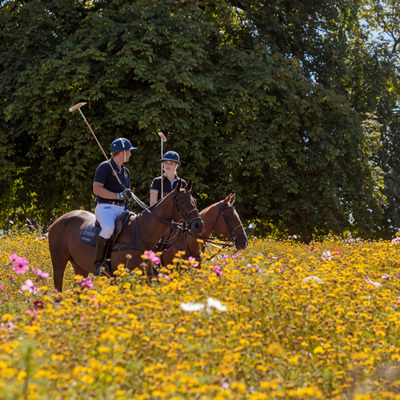 If you’re looking for something a little different however, we would recommend venturing out to Coworth Park’s equestrian centre and polo grounds, as well as the immaculately well-kept gardens and grounds which are a joy to discover. 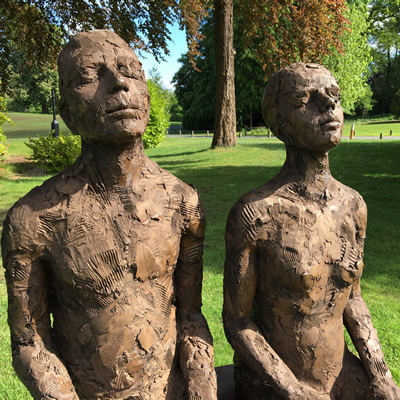 We thoroughly enjoyed our stay at Coworth Park, and cannot urge you enough to visit. 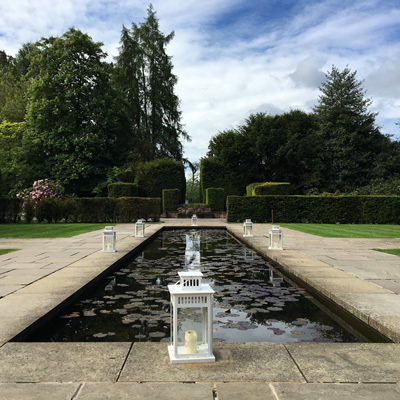 Coworth Park is the ultimate country escape, the staff are also a true credit throughout, we would return in a heartbeat. 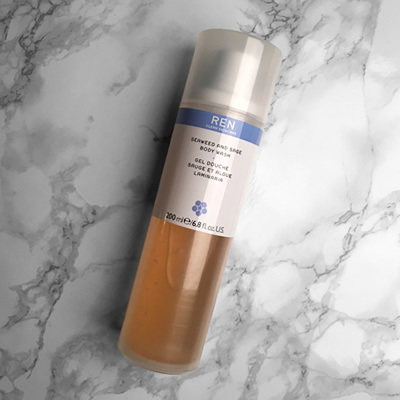 It's essential to ensure you always have the perfect travel companions, this is what we packed in our suitcase for our visit to Coworth Park Hotel.